2015 VW Touareg TDI Diesel AWD Technology Package -- GREAT Deal!! Navigation, Xenon Headlights and LED Daytime Running Lights, Side Assit/Lane Change Assistant, Camera, Sirius XM, Push Start & Keyless Entry, Tow Package, BlueTooth, Heated Seats, etc. 4 years or 48,000 miles VW Limited WARRANTY!! 1 Owner -- 2015 VW Touareg TDI Diesel AWD with Technology Package. Price JUST REDUCED!! -- GREAT Deal!! Loaded: Navigation, Xenon Headlights and LED Daytime Running Lights, Side Assit/Lane Change Assistant, Camera, Sirius XM, Push Start & Keyless Entry, Tow Package, BlueTooth, Heated Seats, etc. Clean title, clean Carfax history report, no accidents. There are no issues of any kind with this Suv. NO dings, NO dents, NO damages!! Interior is extra clean and has no wear visible. All options and buttons work perfect. The tires are like new with over 90% tread life left. The Turbo Diesel Touareg provides 21/30 mpg city/highway, while still offering a healthy 240 horsepower and 406 lb-ft of torque from it's 3.0-liter turbocharged diesel V6. Towing capacity is 7,700 lbs. The Touareg stands as one of the safest vehicles on the market, with a combination of excellent crash-test scores and advanced safety technology. Comes with 2 master keys, 2 sets of floor mats, cargo cover, manuals, tools, emergency kit and original window sticker. Inspections are welcome. Please call (561)-889-2933 to schedule an appointment. NO dealer's fee. Cash Price. We do not offer in-house financing but credit union and other financing institution's checks are accepted. Let us direct you to the right bank if you need help with financing. 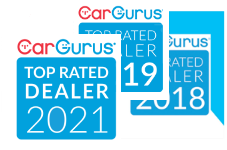 We have been named "Top Rated Dealer" for 2017 and 2018 by CarGurus; buy with confidence, as our dealership sells superior quality vehicles and provides best customer experience before and after the sale. Trades are welcome and we usually beat most other offers. Please call for details on the warranty.